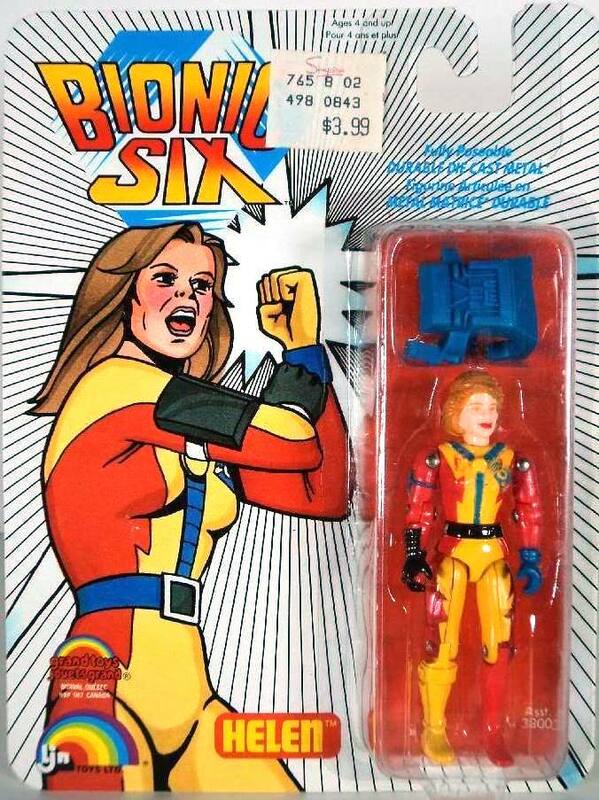 She's Fantastic: Vintage Goodness: The Women of BIONIC SIX! 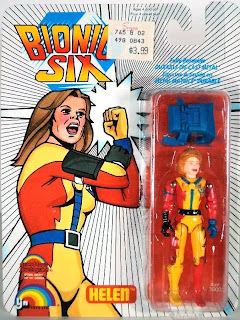 There are three women in the Bionic Six cartoon and they were all made into action figures: Helen Bennett (aka Mother-1), Meg Bennett (aka Rock-1), and Dr. Scarab's mysterious henchwoman, Madame-O. We'll start the review with Meg. These figures are awesome because they use a very standard O-Ring construction (aka GI Joe style), but with real die-cast parts and cool translucent pieces. 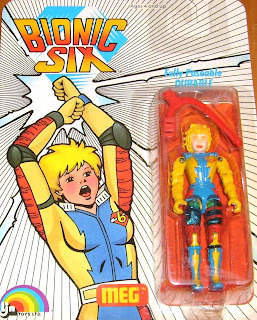 There's no reason for any pieces to be translucent, but it does add a very "bionic" feel to the figures. Wikipedia Bio: Helen Bennett, aka Mother-1, is Jack's wife. She is an oceanographer and an accomplished marine biologist. 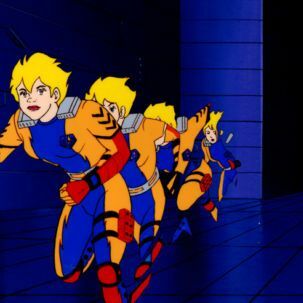 Mother-1 possesses various ESP powers that allow her to occasionally see glimpses of the future, telepathically communicate with other sentient and non-sentient beings, determine the function and operation of mechanical devices by mentally "tracing" their internal workings, and can mentally project hologram-like optical illusions. 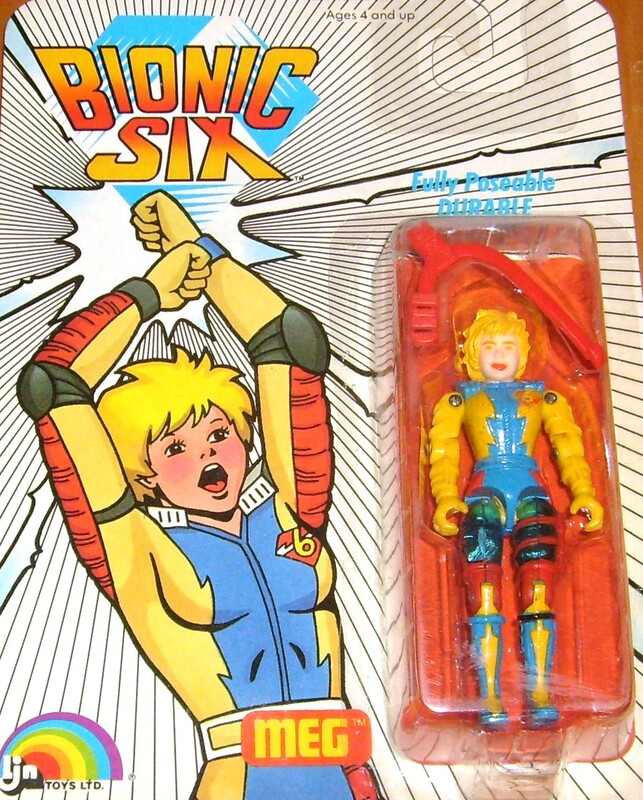 She was voiced by Carol Bilger. My figure has some kind of plastic defect on her neck. 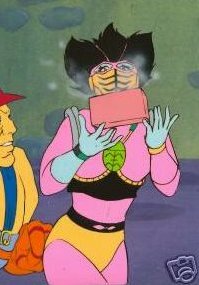 Wikipedia Bio: Madame-O is an enigmatic blue-skinned femme fatale who wears a full face mask and uses a harp-like weapon to fire sonic blasts. She has a verbal tick of ending many of her statements with the word "...darling." While possessing super strength, she is not as strong as many of the other characters; Mother-1 was able to defeat her in physical struggles in various occasions. Before her transformation, she actually appeared to be an elderly woman. 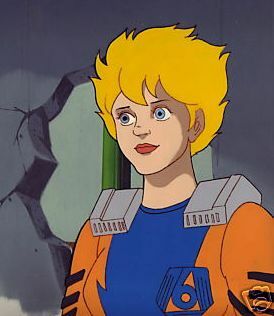 She was voiced by Jennifer Darling. 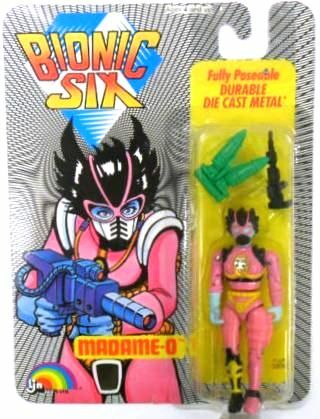 Madame-O comes with a black rifle that I unfortunately do not have. She should have come with her harp weapon anyway. I love the translucent green scarab on her chest. Here are an assortment of images from the cartoon. 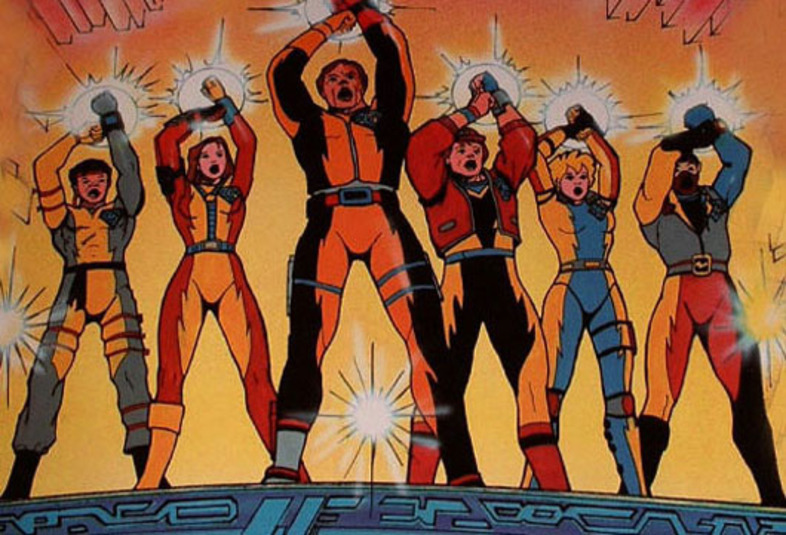 One of the catchiest, and "Eighties-est" theme songs ever! 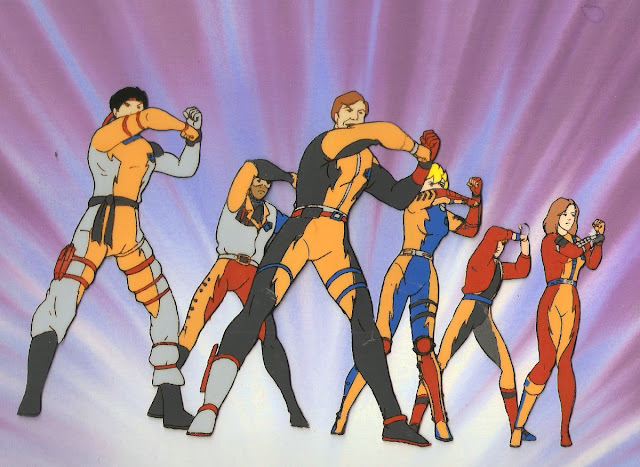 Wow, they are all really cool! Good head sculpts & nice paint work. Might have to hunt these down one day. 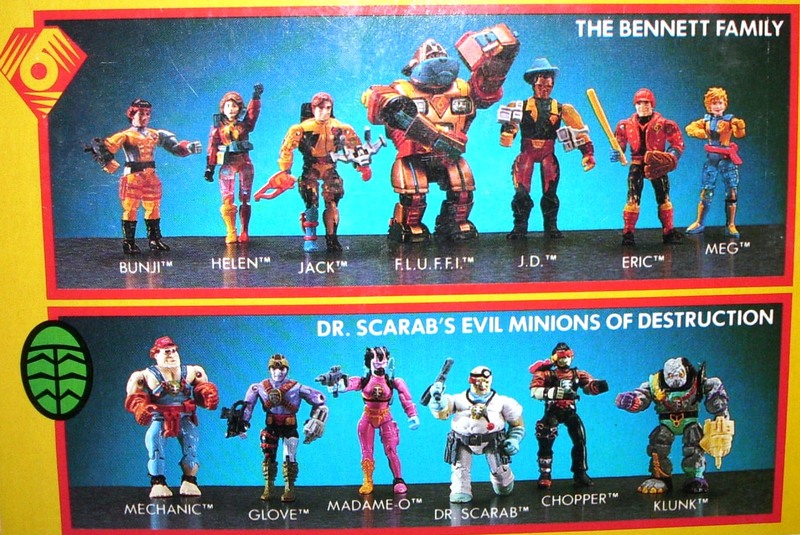 They're super nice figures. 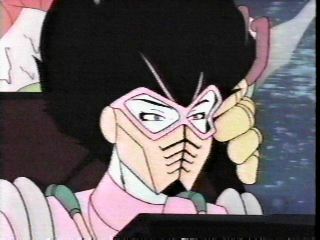 I wish we could have seem similar girls from properties like Bravestarr and Tigersharks.